Spaghetti is 5" in diam. 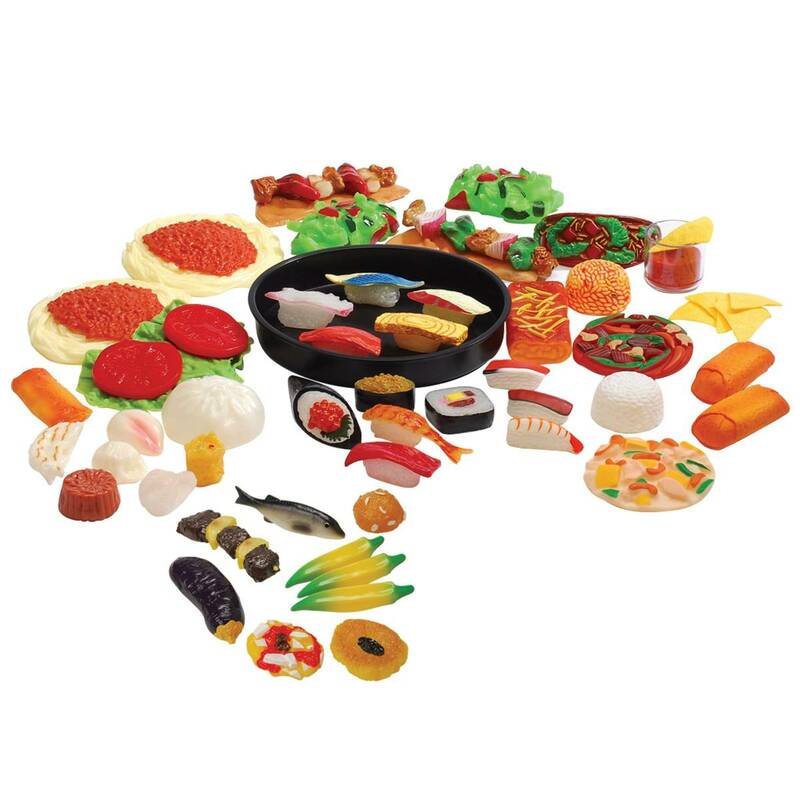 Explore different types of food with these realistic-looking foods represent tastes from many countries. Includes Middle Eastern food, Dim Sum, Sushi, Hispanic Food, Oriental food, Italian food and African food sets.